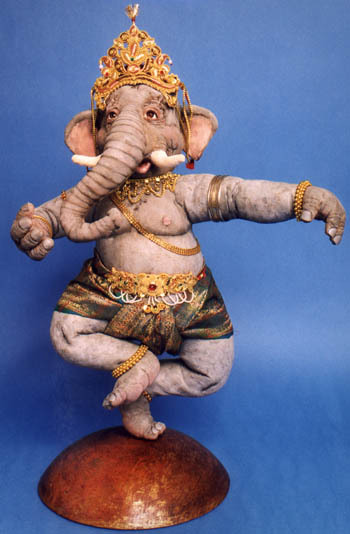 Ganesha is the head of the Hindu pantheon of Gods. This portrait is a one of a kind soft sculpture. He is 22" tall and mounted on a wooden base. He took over 600 hours to complete. This piece is featured in the April issue of Teddy Bear & friends magazine.